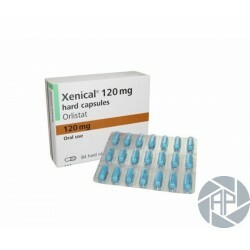 Xenical 120 mg 42 Capsules - *Anabolic-Pharma.org* The largest selection of steroids and peptides on the market ! Buy steroids for lowest prices ! Fastest delivery! Orlistat is the only medicine currently licensed in the EU to help you lose weight. Orlistat prevents your body from absorbing the fat from the food you eat. By reducing the amount of fat that is absorbed, Orlistat is clinically proven to help you lose up to 50% more weight than with dieting alone. Orlistat 120mg is used in the treatment of obesity. Orlistat prevents your body from absorbing the fat from the food you eat. By reducing the amount of fat that is absorbed, Orlistat can help you to lose weight more easily. 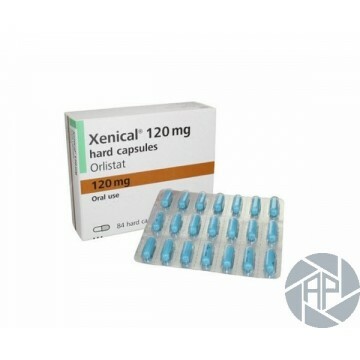 Xenical is a brand name for generic Orlistat 120mg. Xenical is manufactured by Roche and contains the active ingredient Orlistat 120mg. Medically there is no difference between generic Orlistat and Xenical although Orlistat is generally available at a lower price. Alli is a brand name for Orlistat 60mg and is an over the counter medication. Alli is half the strength of the prescription-only medication Orlistat 120mg and Xenical. Use our online BMI calculator to calculate your BMI. Orlistat works in a unique way. The active ingredient, Orlistat, attaches itself to some of the body’s natural enzymes that break down fat, so you don’t absorb it. This prevents some of the fat you eat from being absorbed.